Follow Me For Updates Every Day! Like, comment, and Share! 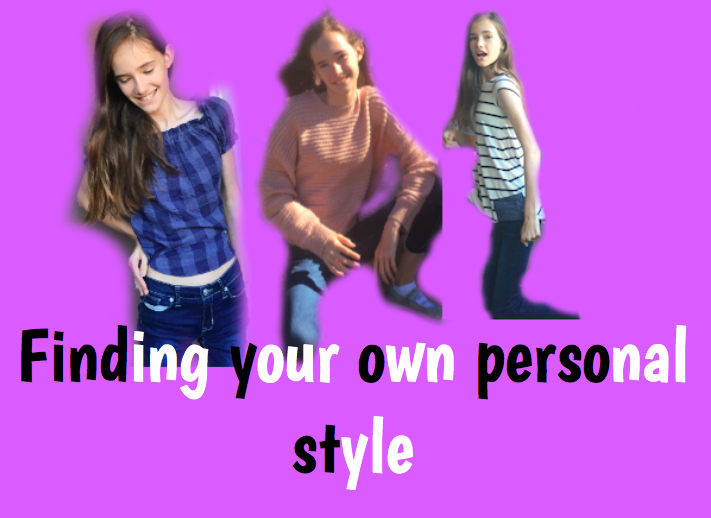 Finding your own personal style! There is inspiration all around us! In the people you follow on social media, to something your super passionate about! Inspiration is all around us! You may walk into a store and suddenly see someone wearing a shirt, that you know is so your style! Inspiration is everywhere! Don’t be afraid to spot it! A huge part of creating your personal style is deciding how you want to present yourself. If you want to look classy, then find something classy to wear. Look for how you want to present yourself then base your clothing and style of of it! Don’t be afraid to pile up on accessories! Accessories are similar to interior designing, an example is; you have a boring table… but then you add a lush-green plant, and the table looks better than ever! The same thing happens with accessories! You may be wearing something that is plain (Like one color no designs) but if you add a neckless or earrings! It lightens up the whole outfit and style all together! I’m sure you have all seen an outfit you loved! Just you weren’t sure about it because its not “In” right now. But you must find your own identity! Be different! Alway change things up! Give yourself something new everyone and a while. Maybe you will like it? And it will change your perspective a bit! Then your style will change and grow, to be perfect like you! We all have amazing styles! Find yours! Previous Why Woman are cats?